With the advancement of technology and the availability of collaboration tools, remote jobs are increasingly becoming the norm. As noted by TimeDoctor, great delegation and collaboration within a team is essential for successful execution of a project. Remote jobs or telecommuting, however, do not exempt members to work in isolation. Team members work independently to focus better, but utilize collaboration tools to work simultaneously on some parts of the project. Document sharing is one familiar example that enables distant teams to work simultaneously on the same document. What other remote team collaboration strategies can we use to become efficient and productive when working together in complex projects? In this article, we cover a few team collaboration strategies for a more efficient and smooth work flow. Take a look. In the past, the customer would request for a job by roughly explaining its attributes. Team members would take notes and create a rough design. The customer would initially agree to the design only to discover later that the design did not meet their requirements. In this case, there is a lack of clear communication between the design team and the customer OR the design team and the development team. How do we take care of that? The answer is Prototyping. When you prototype using rapid design and development tools, you are doing two things: you develop the design in iterations that allows you to create a quick version of the finished course. Online collaboration plays an important role during the iterations. Several design authoring tools have amazing features to enable prototype version control and to enable teams to add comments. These tools are offered as SaaS (software as a service) tools that enable fast and robust collaboration. You can easily ask questions such as , “Is the logo ok?” or “does the typography look better?” You can even invite the customer to view the prototype, add a comment or provide feedback. These can be used to edit the design early in the project life-cycle as opposed to later. Sign off your design document after all comments and feedback are completed to lock your design and push it towards development. This is how online collaboration in the design phase improves your credibility as a team and reassurance in the customer. A team is a mix of diverse talents and skill sets. To make the most of them and to prevent any idle-time, enable all members to work on the project at the same time. Team collaboration during the development phase is equally important. Design tools with inbuilt collaboration enable your team to work on projects simultaneously. You no longer need to package and email large work files to your team members. No need to track files using their latest version number. 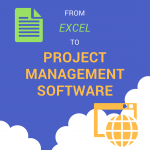 Online collaboration tools such as a simple project management software would do that for you automatically, including the exact time when changes were made complete with the author comments for the entire team to read. This form of real-time collaboration while working on the same files prevents ambiguity and confusion. Online team collaboration software enables collaboration with the customer. In the past, you may have used a Waterfall Model to design and develop a project. The problem with this type of methodology is that it prevents teams to communicate with the customer during the development phase. Moreover, there is an increased risk of confusion or disagreement again. To prevent missing out on collaboration opportunities with the customer, use the Agile development approach. This approach keeps you in constant contact with the customer and the design and development teams, enabling you to iterate and present new changes every week! Your customers can see the progress and you can ask for feedback and determine the next course of action. If you have developed online projects in the past, you know the challenges in getting a hold of reviewers and evaluators. You may have developed an Alpha version of a software or an application and presented it to these individuals for review. They would have provided you feedback in response to the screen shots in the submitted document. Traditionally, you might create an alpha version to package up for review. Stakeholders can then review the project in a Word document with screenshots and provide feedback referenced as “Page 4” or point to a specific picture in a separate document. This is not a very favorable practice to sustain in this age of online collaboration tools! Involve the members of the review committee in your project authoring environment for frequent and timely feedbacks. This will not only save your time, but also the efforts of your team. 1. Multiple talents can unite to create one masterpiece by collaborating remotely. 2. Remote team collaboration saves time, money and energy by taking out the travelling time and meeting place costs. Teams can communicate from the comfort of their preferred place. Members can also work on urgent projects while on a vacation. 3. Teams can connect with a subject matter expert collectively for a combined meeting or a Q&A session. Such collaboration with an expert helps complete projects with a finesse. 4. Online collaboration enabled connecting with an outsourced help. The work progress itself can explain the nature and type of the project. This can help any outsider join in easily. With this arrangement in place, you would never have to explain things all over again; which means an improvement in productivity. 5. Online collaboration tools can offer all the resources and master files that are either locked or non-editable. This prevents accidental deleting or changing. Members can only use these files for reference. These files have a common name. Members use a standard way of naming files and addressing them in their conversations. This removes any confusion and ambiguity when working. 6. Team collaboration software also offers security level access rights. Team lead or administrator can easily set up access rights or permissions. This keeps confidential information safe. Files can also be set up in multiple forms such as editable, downloadable, a read-only or password protected copy. This keeps team documents and files safe. 7. Team collaboration software removes the feeling of isolation between team members. Members can connect and discuss the project and on top of that, can also offer alternative plans to be referred later. Handling projects as a team is a great way to complete projects on time and within budget. Team members, when work together consistently, become aware of each other’s strengths and weaknesses. This helps them allocate tasks effectively. Moreover, they are also able to hone skills such as task delegation and team member empowerment. 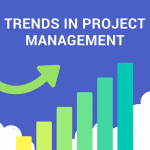 On top of that, team collaboration or project management software tools also help team members understand each other better, leading to a better execution of the project. A technical writer currently associated with ProProfs Project. He enjoys writing about emerging project management products and its latest trends. He lives in Detroit, Michigan with his wife. In his spare time, David loves exploring the city, listening to Metal music and riding.